Flight Testing A forum for test pilots, flight test engineers, observers, telemetry and instrumentation engineers and anybody else involved in the demanding and complex business of testing aeroplanes, helicopters and equipment. Has anybody heard of Mr Rupert Belleville, who was a test-pilot at VickersArmstrong (Weybridge) during the war years. His name appears several times in the logbook of Bob Handasyde, an FTO at Vickers during the War. Last edited by eMACaRe; 1st Nov 2012 at 22:43. 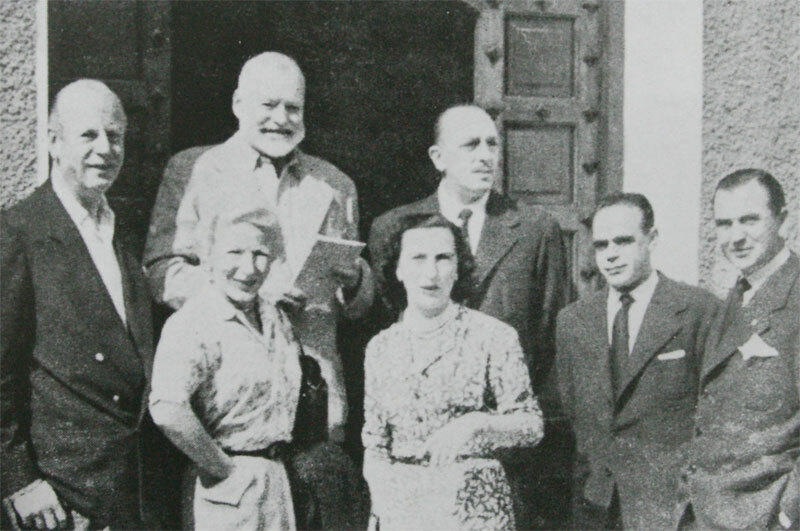 He (left) appears to have been a friend of Hemingway's in the mid-50s - with aspirations to become a bullfighter..
Mary Welsh (Hemingway's 4th wife) is in front of EH.